The RN & RM Mountaineering Club is the representative body for mountaineering and climbing within the Royal Navy and Royal Marines. Its primary aim is to foster recreational mountaineering in all its forms and at all standards within the Service. The Club also represents the views of RN and RM mountaineers to the British Mountaineering Council (BMC), the Mountaineering Council of Scotland (MCoS) and the Joint Services Mountaineering Committee. Full membership is open to both serving and retired members of the RN, RM, RNR, RMR and associated Naval Services. Associate membership is open to the immediate family of full members and other such individuals as the Committee may decide. There are currently around 750 members. The RN & RM MC runs a series of meets throughout the UK every year whilst groups of members also arrange informal climbing trips. These official meets cover the full spectrum of mountaineering interests from hill walking to rock (traditional and sport) to winter snow and ice climbing. Typical venues are Cornwall, Peak District, Snowdonia, Pembroke, Lake District, Scotland and Lundy. There is also an annual indoor sports climbing competition with the best climbers from the RN and RM going forward to do battle against the Army and RAF at the Inter-Service Climbing Championships. Every year, Club members have the opportunity to take part in the two week Joint Services Alpine Meet held in France, Italy or Switzerland. Here alpine novices have the opportunity to be introduced to the more serious challenges of alpine mountaineering by fully qualified guides and the more experienced can take advantage of these superb mountaineering venues. Additionally, there is usually an annual ski-mountaineering expedition to the Alps. 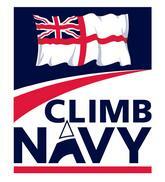 RN & RM MC members also venture further afield on Club or Joint Service climbing and trekking expeditions. In the last few years, destinations outside of Europe have included: Alaska, Antarctica, Argentina, Bolivia, California, Ecuador, India, Kenya, Nepal, Norway, Pakistan, Peru and Tanzania. In 2003 Club member Dave Pearce stood on the "roof of the world" after climbing Everest via the North East Ridge on a Club expedition.